Supermodel and Sports Illustrated Rookie of the Year 2019 Tara Lynn has stitched a deal with plus-sized retailer .. There are two items a lingerie fanatic should always have stocked in their wardrobe – a bodysuit and robe. .. 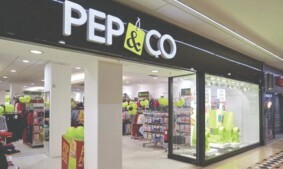 Pep & Co, Poundland’s creates a VS like collections replete with catwalk models. Designers seem to have been influenced by the Victoria’s Secret catwalk show, which took place this ..
Gottex Free Sport is an athleisure swimwear brand joining the Gottex house of luxury brands. Previously known .. The fashion designer never dreamed of creating an intimates line, let alone teaming up with the lingerie ..
Great offerings for big cup sizes Women with a bigger bust have more options with Floret’s new collection ..
SOMMER Ray is Instagram’s reigning fitness model. Our Instagram Babe of the Week title goes to Sommer ..